Everyday I receive questions from all over the world, many of them strange and unusual. One of those strange questions was "Do you teach Krav Maga driving?" Of course I have never heard of such a thing, my teacher never taught me anything of that nature and I am not a driving instructor although I have had a driving license for a few decades. The other day, however, I did discover a "Krav Maga Driving Lesson" which I would like to share with you. Life takes strange twists and turns, often totally unexpected, and we often end up in places and situations we never imagined or wanted to imagine, and we must cope. We must cope with the unexpected. We are in the midst of our Krav Maga Tour and Train program. We have a large group from all over the world. We travel in a convoy of several cars and we must stick together. In order to stick together we must keep things simple. The other day we temporarily lost one car but due to our careful pre-planning we were able to quickly recover. Here is an important Krav Maga lesson. I knew there was a possibility of getting lost as we were traveling to a new location. Lesson number One: I made a mistake, I never should have brought them to someplace I had not been to personally. As much as I trust others I must experience the journey myself. Never teach a technique that someone else told you about. You must feel it yourself. Lesson learned, in the future I must personally travel to every location, every shop or restaurant that I want to take the group to. We planned ahead; everyone had my cell phone number. We planned ahead with regular stops to check that everyone was with us. This planning ahead saved a great deal of trouble. Another lesson learned is that in the next trip we had an Israeli driver bring up the rear. We are always learning, we are always improving. The same is true of our IKI Krav Maga techniques. We are always incorporating life lessons into our training. What occurred to me as I was driving is that trouble can be expected, challenges can be expected and we must do our best to avoid trouble and to cope with it when it happens. With a long convoy of cars it is easy to lose a car. Therefore we must keep the route simple. Lesson number Two: Simplicity is the key of our Krav Maga training and so it should be with our Krav Maga driving. Get on the highway, stay on the highway, get off at the exit and ...be there. When you start adding lane changes, little side streets, quick turns; you are more likely to lose someone. Keep it simple and you have a much better chance of arriving with all your cars and students intact. This is just as important in Krav Maga as it is in driving. The more moves you add the more you increase the chance of mistakes under pressure. When you have traffic, tension, cars honking, it becomes difficult to keep your convoy together. It becomes difficult not to make a mistake, a wrong turn etc. Same in Krav Maga. We train for the reality of the street, for the reality of people shouting at you, tension, pressure. Our Krav Maga must be adapted to that reality, not the dojo conditions. 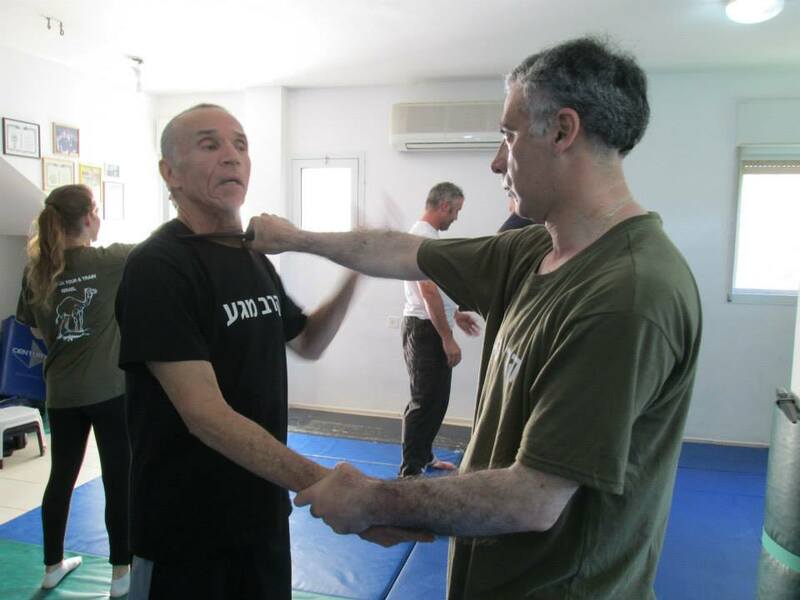 I still do not know what "Krav Maga Driving" means but I do know that if you want to arrive safely you should employ the same basic principles in driving as we use in our IKI Krav Maga training. It is not about being a super driver, it is about following simple logic. It is not about fancy routes, it is about keeping things simple and arriving safely at your destination. The goal of IKI Krav Maga is to help you arrive safely at your destination.